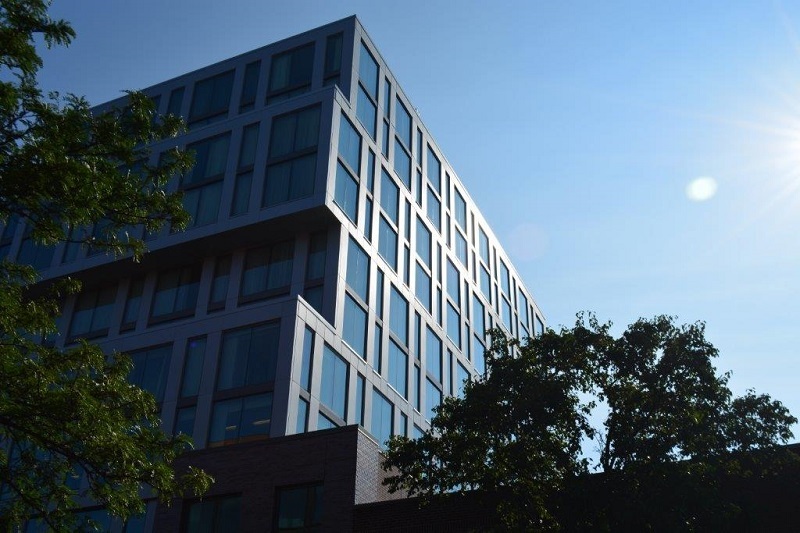 EIFS in the Spotlight was launched earlier this summer to showcase the design versatility, aesthetic appeal, and many benefits of exterior insulation and finish systems. 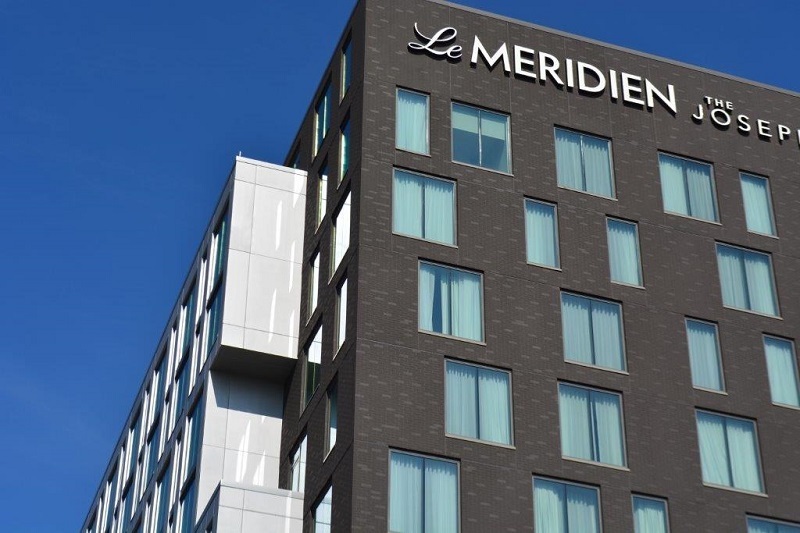 Located in the popular Short North neighborhood of Columbus, Ohio, Le Méridien Columbus, The Joseph, is highlighting several finishes from Dryvit Systems, Inc. and showing why it’s this month’s EIFS in the Spotlight. The success and journey of this project provides an even better story. In fact, EIFS was not the original choice for the building. Budget constraints eliminated brick veneer with metal panels, while energy codes that include continuous insulation requirements ruled out conventional stucco. Thanks to several of the benefits that EIFS achieves Dryvit Outsulation® Plus MD with Custom Brick™, Reflectit™ and Lymestone™ was able to meet the tight deadline and site constraints. The 135 boutique hotel, Le Méridien Columbus, The Joseph, was completed in late 2014. 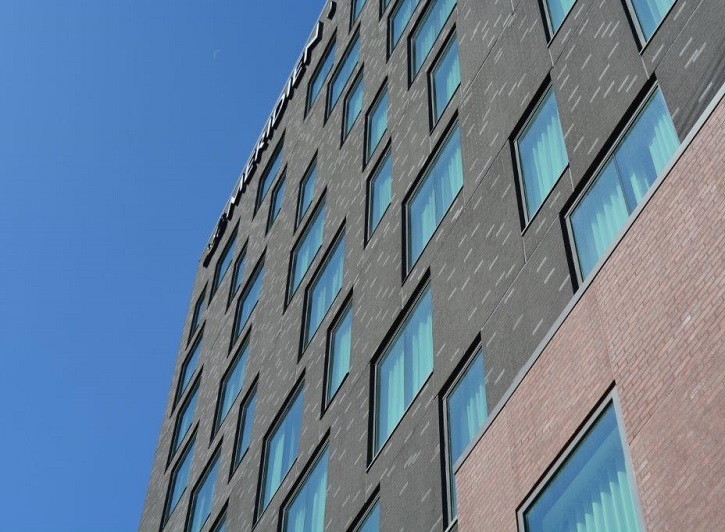 The hotel is located in Columbus’s trendy Short North neighborhood, consisting of 32,000 square feet of Dryvit Outsulation® Plus MD with Custom Brick™, Reflectit™ and Lymestone™ finishes constructed with Fedderlite® panels. The panels were key to this project’s successful completion. If field applied, scaffolding would have closed neighboring roads for around 8 months, a non-starter for city officials. The installation of the 1,200 panels took around 3 months, which only closed adjacent roads for about 2 weeks. The obvious desire was to have anything built in this location weather tight, while also making sure it was completed expeditiously. For starters, there are dramatic wind load differences between conventional stucco and Dryvit Outsulation (conventional stucco is roughly 75% heavier than the Outsulation). As for the speed of construction, EIFS panels allowed for the interior of the building to move forward much earlier than first scheduled, further cutting down on the overall construction schedule. It’s easy to see why this project has been so successful, and it’s even easier to see why it’s this month’s EIFS in the Spotlight project.